﻿ Franchising focus: Is Sandwich the new flavour of the season??? Franchising focus: Is Sandwich the new flavour of the season??? Similarly, the trend has pushed many global brands including Quiznoz, Costa Coffee, Starbucks adding an elaborated sandwich options in their menu. It’s time to reinvent, rejuvenate and re-tweak. Gone are the days when people in India were limited to eating a pizza or a burger. Today, there are trying out new things. And, sandwiches are the new fad amongst them. 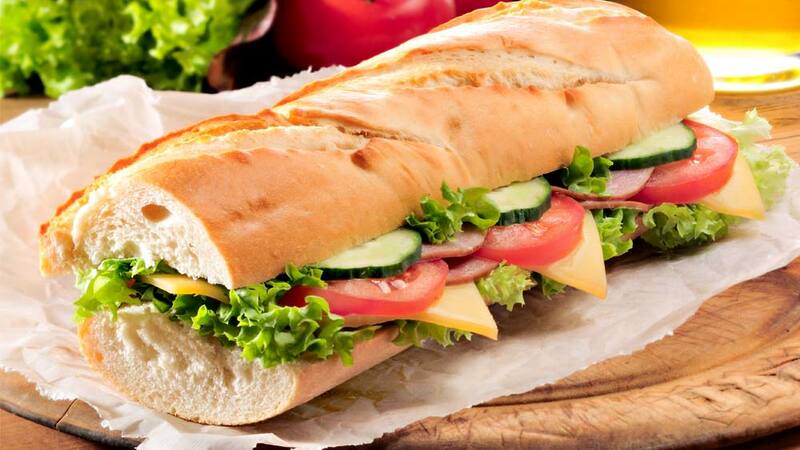 Ever since global sandwich major Subway ahs made Indian customer more familiar with sandwiches, there seems a great opportunity for this business in India. From entry of other global players into the segment to locals experimenting their hands out in sandwiches, Indian market has welcomed them all. It was in 2001 that Subway opened its first store in the Indian market. Today, it has 500 plus restaurants in more than 70 Indian cities and expects to add 100 more restaurants by the end of this year. Likewise, Canadian sandwich chain Mr. Sub which is a new addition in the business entered India in 2015, opening first store at SDA market opposite IIT-Delhi. But, this doesn’t stop here and the competition continues to grow, inviting local players to join the race. The Big Fat Sandwich, a five months Delhi based brand is doing real good when it comes o serving fresh and gourmet sandwiches owing all the successes to Subway who is the pioneer in the segment. “There is huge competition in the market today, but I believe in my product. However, Subway is one of the largest consumer brands today in the world and in India they are predominant. They have made the Indian consumer understand what sub is. Meanwhile, I want to offer the right sub to the customers who they are actually looking for,” shared Arnav Saluja, Chairman, Beverly Foods which owns the master franchisee of brand Mr. Sub in India. All Subway restaurants are individually owned and operated by independent franchisees and there are no company-owned stores. The brand operates globally on a franchise-based business model. “The low start-up cost, simple operation and flexible floor plans make the chain appealing to potential franchisees. Besides traditional restaurant formats, franchisees can also opt for non-traditional restaurant locations like airport terminals, hospitals and universities. The company provides training and support to franchisees through its world headquarters in Milford, Connecticut, USA; five regional offices and various country offices across the globe. This facilitates seamless integration of franchisees into Subway family. Franchisees are supported by dedicated locally based Development Agents and their staff that provide additional business expertise,” added Manpreet Gulri of Subway India. Similarly, the trend has pushed many global brands including Quiznoz, Costa Coffee, Starbucks adding an elaborated sandwich options in their menu. And, all these global chains are operating a franchisee model in Indian market. “I came across this brand around two years back, and then I talk to MTY group which owns the franchisee of the brand, who were looking to expand globally at that point. And as Indian consumers can relate to the name Sub with the brand and the product it offers. I thought of bringing it to India,” added Saluja who has expanded the restaurant in Delhi-NCR. This segment is totally dominated by global players, localisation and customisation is the need of the hour. And, sensing this childhood friends Anant and siddharth have opened The Big Fat Sandwich customising the menu according to the local palate. “Indians were tired of the same old sandwich taste. So, we gave it a twist opening a gourmet sandwich place,” added the duo who are very happy at the response they are receiving and are soon to open an outlet at Select CityWalk Mall Delhi. Hello Team, Brief me about your business in details or you can call me at 9811250292. About Us: Ranging from Super Tasted Bubble Tea’s to Shakes, Sandwiches,..
InnerChef acquires EatOnGo and Flavour Labs..
Digitally Revamping the Fitness Industry..